From magnets to popcorn buckets to postcards and park maps, we all look for pieces of Disney to take home with us after a wonderful vacation. 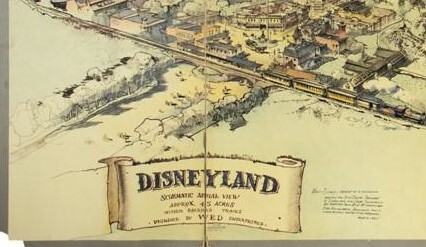 Now, a hand-drawn map of Disneyland done by Walt himself could be yours. Well, if you have an extra $1 million laying around that is. Check out the story behind the map provided by WTVR.com. A rediscovered hand-drawn map of Disneyland, co-created by Walt Disney himself when the park was still in its earliest days of inception, is up for auction and is estimated to sell for up to $1 million, according to KSWB. The map was pivotal in obtaining the finances Walt and his brother Roy needed to make their dream a reality. In late 1953, Walt’s brother Roy Disney scheduled meetings in New York with leading banks and the three television networks; CBS, NBC, and ABC, to try to obtain financing for Disneyland. Realizing that words alone would not be enough to convey the images he had in his head, Walt called on his friend and former employee Herb Ryman to draw what would become one of the most important drawings in Disney history. In what would be remembered as the “Lost Weekend,” Walt spent two days narrating in fine detail every aspect of his park that he could muster. Ryman, under Walt’s direction, turned his ideas into the first large, tangible visual representation of Disneyland ever created. The drawing was used to create a large tri-fold presentation board that Roy could take to New York as his main presentation piece. Roy’s meetings with the banks and two of the networks proved fruitless, but his presentation proved successful with ABC, who agreed to give Walt the funding he needed to build his park in exchange for access to Disney’s film library, and a new Disneyland television show hosted by Walt himself, among other stipulations. The agreement remains the largest television network deal in history. About two years later, Grenade Curran, a young Disney employee, noticed the original map abandoned in a corner of Walt’s office and asked Walt if he could keep the map as a memento. Curran, knowing that the map was important, stored it away carefully as a memento of his time at the Studio and his friendship with Walt. However, Curran was unaware that he was unknowingly preserving one of the most significant artifacts in Disney history. “That an artifact like this, which is so deeply rooted in the creation of Disneyland, still exists today is astonishing,” Mike Van Eaton, co-owner of Van Eaton Galleries, said. The map will be auctioned in June at Van Eaton Galleries in Sherman Oaks, California. 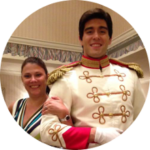 Would you love to own such a significant piece of Disney history?